This apartment has a full range of Smart Home controls by means of an iPad with an iRidium application installed on it, LCD touchscreens, and push button panels. Host, being at home or away from home with the help of the application, can adjust lighting, control blinds, temperature, power on / off heating, view the surveillance cameras content, and control the AV equipment. 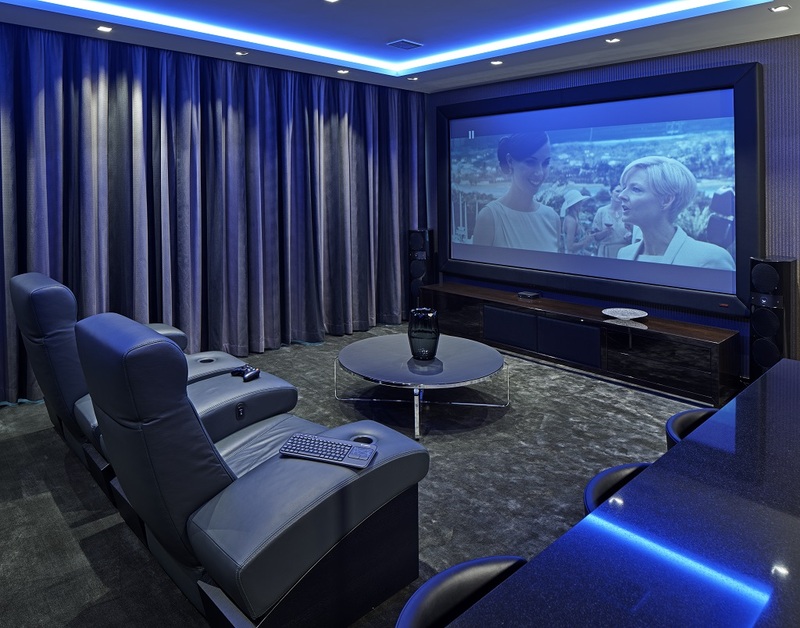 Domintell automation allows to control lighting, including RGB LED lighting, heating, blinds and curtains. In the event of an emergency GSM module by Domintell promptly notify host via SMS in order to minimize damage. Light and its brightness can be changed through iRidium using the slider, or on-wall LCD touchscreens. In addition, one can open / close blinds, curtains, both manually and on schedule or with the onset of dusk / dawn by means of sensor located on the terrace. Ventilation equipment is controlled via Modbus TCP protocol with full feedback. Each separate zone's climate is controlled by air conditioners (Daikin), radiators and underfloor heating to change the temperature by host or yheir guests. Surveillance camera with video recording function Motion allows you to monitor the premises via the application when connected to the Internet. Home cinema consists of video projection system Cineversum, a large screen, and the Cineak seatings. They are equipped with a unique system of kinetic motion DBOX (synchronizing the movement of the chair on the movement of the screen) and would let you enjoy the atmosphere of 4D cinema without leaving the apartment. The TV mount is hidden in a compartment of the chest of drawers and allows not to overload the space of the room. Particular attention was paid to the selection, installation and configuration of equipment for the 10GB internal computer network – which is the key to a stable operation of home control systems. Stable WiFi network coverage allows you to watch HD channels and listen to music anywhere in the apartment without breaks and interruptions.